Usually, when a person tries to sync, restore or update their device via iTunes, they could encounter the error "iPhone recovery mode iTunes is downloading a software update for this iPhone". Normally, it happens when you try to interrupt the update or download of new software for the device. The reason for the "iTunes is currently downloading software for the iPhone" error can be various. It could be because iPhone is unable to connect to Apple server, the Internet is broken, iOS system malfunction, etc. Whatever the reason is, we have some tips to fix when you are facing with iTunes is currently downloading software for this iPhone error. In this situation, there are chances that your device is either stuck or still functioning normally. The following simple fixes will be enough to resolve this error. 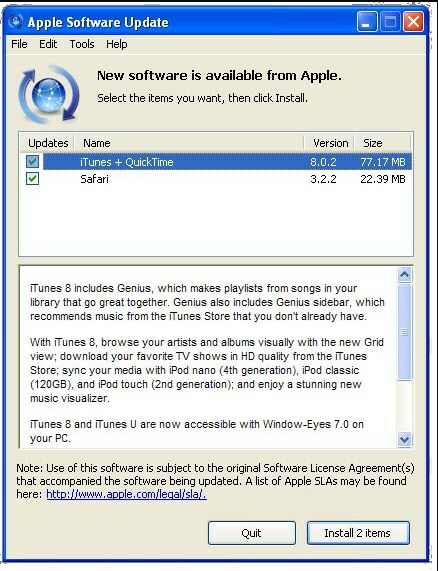 The first method you can try is to update iTunes on your computer. If iTunes requires an update then it usually gets stuck during operations. You can check for updates in the toolbar. Select the Help option from the toolbar and click on Check for Updates option. You can also update iTunes from the Apple Software Update section. If you are using Mac, then you can simply go to the app store and click on the Updates tab to see if there is an update available for iTunes. Or follow the same Help section as in Windows OS. Update the iTunes to the latest version and hopefully, the problem will be resolved. Tips: You can also use the free iTunes repair tool TunesCare to update iTunes and fix iTunes error by one click. Step 1: Launch Settings app and click on the General option. From the General menu, scroll down and get to the Reset option at the bottom. Step 2: In the Reset menu, choose the Reset Network settings option and enter your device password to confirm the action. As the settings are reset, all existing settings will be erased without affecting the data. Now, you can check whether the error is still there or not. In case your device is in recovery mode and iTunes is displaying the "iPhone recovery mode iTunes is downloading a software update for this iPhone" error, it will need a hard reset. As the hard reset method is quite different for iPhone models, you will have to be careful about the method. Press the Sleep/Wake button with Home button and hold it until the screen turns black. Then let go of the button until you see the Apple logo. Press Sleep/Wake button and the Volume Down button together and hold them until the Apple logo appears on the screen. It is more complex than the previous models. Press the Volume Up button and release it quickly, then repeat the same with Volume down button. At last, press and hold the Sleep/Wake button till the Apple logo pops up on the screen. After you reboot your iPhone, it is likely that the error will disappear too. Step 1: Ensure that you have the latest iTunes version and launch it on your system. Connect your iPhone with the computer and iTunes will detect it. Step 2: Then go to the Summary tab and there you will see the Restore backup option. Click on the option and choose the backup file and wait until the data and settings are restored. 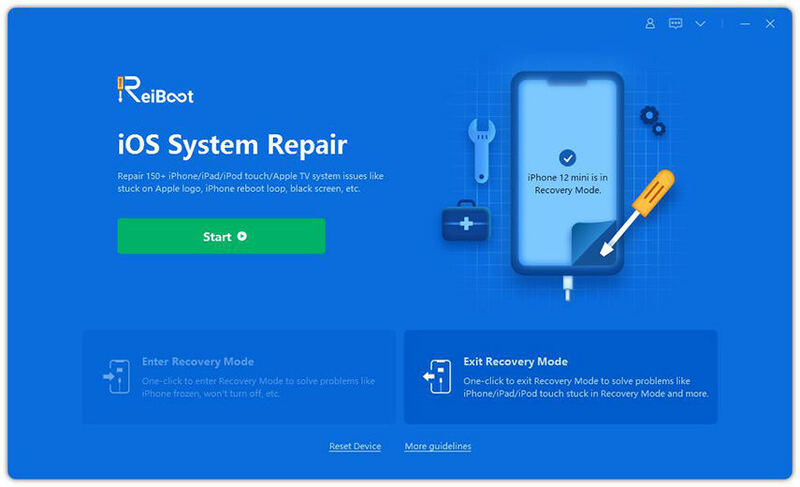 If you have tried various methods and none of them is working, then it could be an iOS system problem, and you can fix it by using iOS system recovery software Tenorshare ReiBoot. Whether your iPhone is stuck in recovery mode, stuck at Apple logo, or iPhone won't update/restore in iTunes, you can resolve the problem after iOS system recovery. The most exciting part is the software fix all these problems without data loss. Step 1: Launch the software and connect your iPhone with it. Then from the main interface, click on the Repair Operating System to fix all iOS stuck issues. Step 2: In the next screen, you will be able to initiate the repair process. Click start repair to get started. Step 3: The software will provide a firmware package file by identifying the iOS version of your device. You can download the firmware package but it will take some time. Step 4: As soon as the file is downloaded, click on the Repair Now option and the system repair will start. The repair will take a while and the software will notify you as soon as it is done. Your device will reboot and start functioning normally. With the help of ReiBoot, you can also fix other working issues in the iOS device without any kind of data loss. Whether you are stuck with the "iTunes is downloading the software update for this iPhone" or any other issue, all of them can be resolved with the help of ReiBoot. You can use this tool to fix more than 50 different kinds of iOS-related problems. And the biggest benefit is that it won't result in data loss.